What Does Joshua 1:9 Mean? 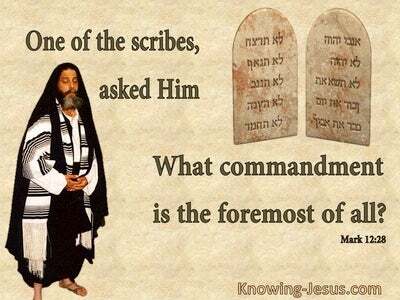 The commands of the Lord are not difficult or tedious to those that trust in the Word of the Lord. The instructions from God are not impossible or unrealistic to those that are called by His name. 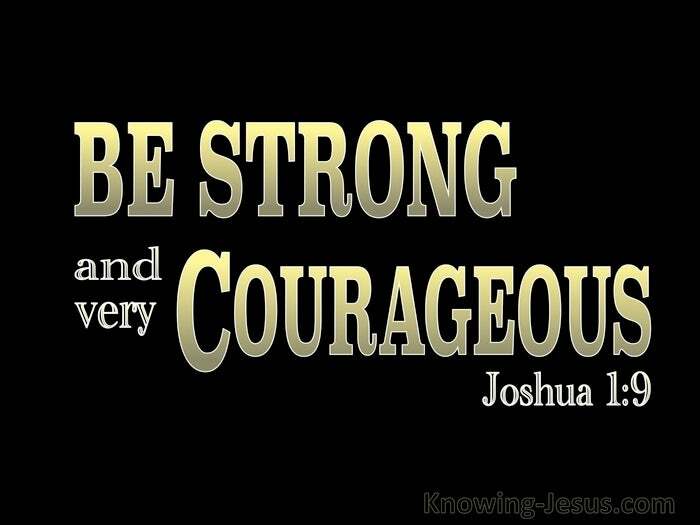 Joshua was here commanded to be strong and courageous. He was to draw his strength from the Lord God and was not to be dependent on his own brawn or brains. Had Joshua or the people of Israel sought to conquer the promised land by means of their own courage and strength they would fail – they were to place their trust in the Lord their God, Who had promised to be with them wherever they went. 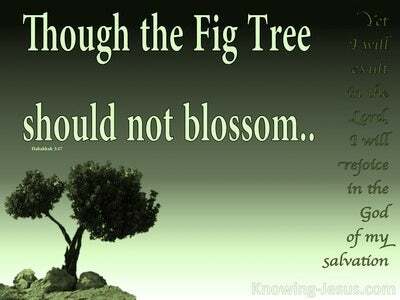 Joshua was given this promise after Moses the servant of the Lord had died. He was about to lead the people of Israel into the promised land. But Joshua was to be careful to heed all the instructions given to Israel through Moses – he was told: this Book of the Law shall not depart from your mouth, but you shall meditate on it day and night, so that you may be careful to do according to all that is written in it. For then you will make your way prosperous, and then you will have good success. 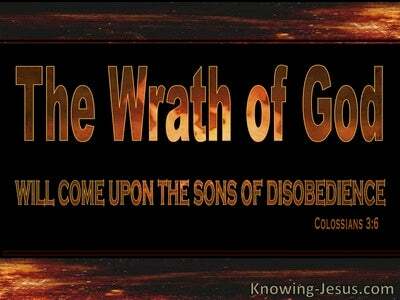 THEN Joshua was reminded, Have I not commanded you? Be strong and courageous! 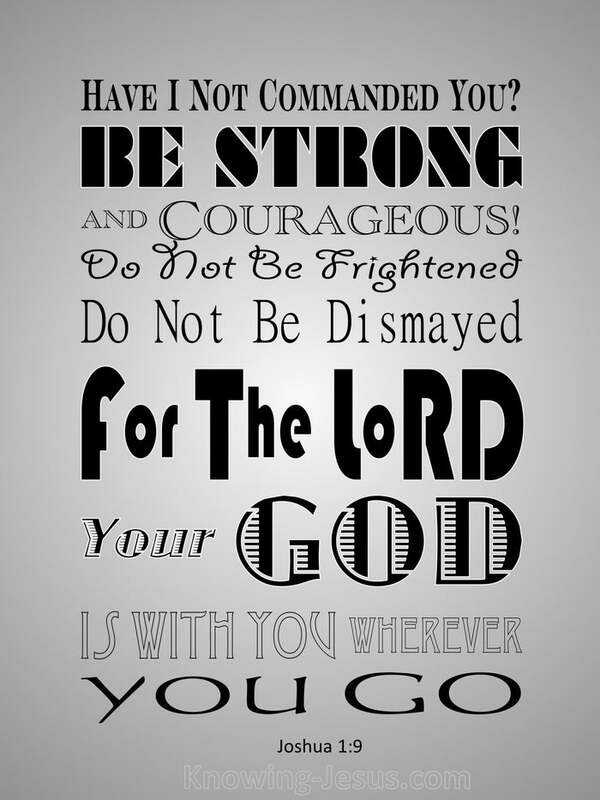 Do not tremble or be dismayed, for the LORD your God is with you wherever you go. Joshua was to saturate himself in the word of God; to meditate on the promises of God; to trust in the truth of God’s Word and follow the demands of God that had been given to Israel - in the knowledge that God was with Him and the Lord was his strength. We too are to immerse ourselves in the word of God; to meditate on the promises of God; to trust in the truth of God’s Word – to follow the demands of God, that have been given to the Church - in the knowledge that Christ is with us and His strength is made perfect in our weakness. The promise that the all-powerful God is our only strength and stay, is no less true today than it was in the days of Joshua. God has promised to be with us in every difficulty we face and every problem that comes our way, just as He was Joshua, when He commanded him… Have I not commanded you? Be strong and courageous! 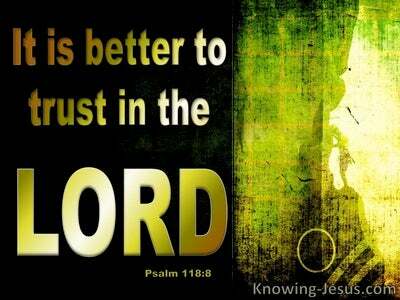 Do not tremble or be dismayed, for the LORD your God is with you wherever you go. Joshua simply had to trust the Word of the Lord and act upon it. And we too are to know the truth of God’s Word and to meditate on the promises of God; to trust in the truth of God’s Word and to follow the instructions that have been laid out in Scripture – we are to trust the Lord; believe on His word and stand firm in the faith that was once given to the saints - so that we too can be strong in the Lord and in His mighty power … for the LORD your God is with you wherever you go - and His grace IS sufficient. Loving Father, I praise You that You have shown Yourself faithful to Your people, throughout all generations. Help me to be strong in the Lord and to rely on You in all the problems of life that I may face, knowing that You are with me, wherever I go. Thank You Father in Jesus name I pray, AMEN.